This is a great example of a retrofit of a Smoothline flush-mount wall plate in a bathroom where a GFCI outlet is required. 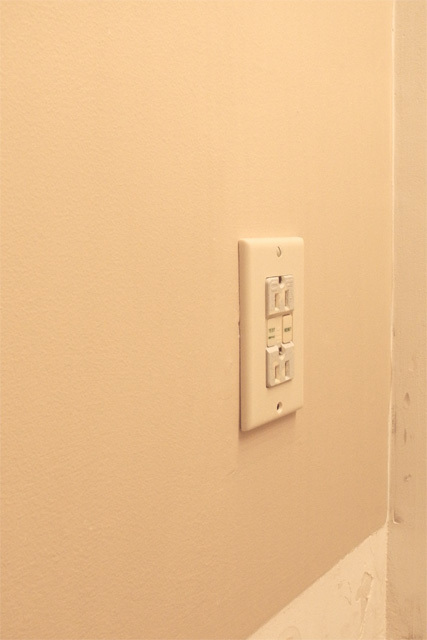 The old outlet was upside down, painted over, and generally unsightly. 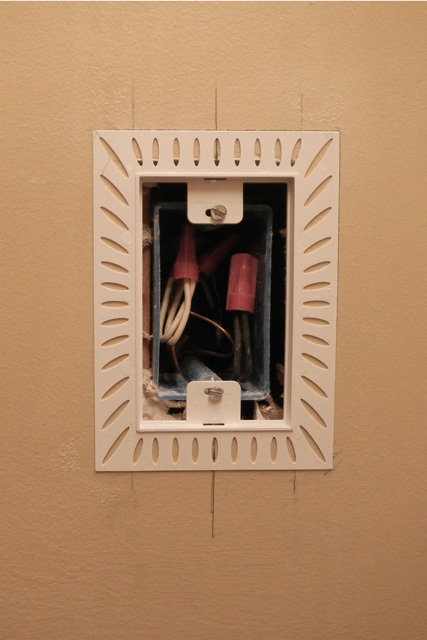 Fortunately, the junction box was set behind the drywall, leaving room for the Smooth line flush mount wall flange. 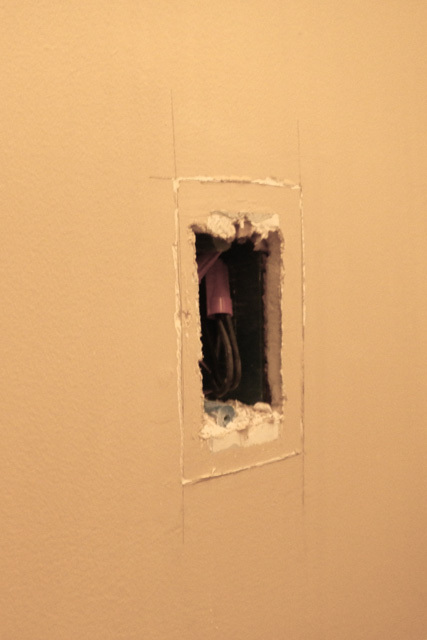 The cover and outlet have been removed and the drywall is marked to be cut out to fit the Smoothline wall flange. With the drywall cutout to size, the flange has been test fit and marked for level. 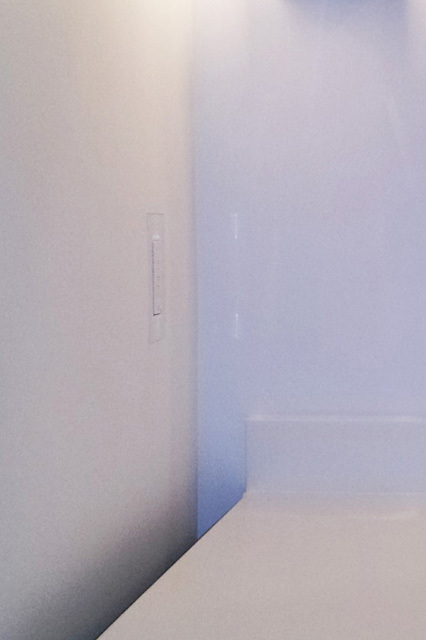 The final product is a flush wall plate that blends into the Benjamin Moore pure white wall. And from the side the flush outlet cover and outlet nearly disappears into the wall. 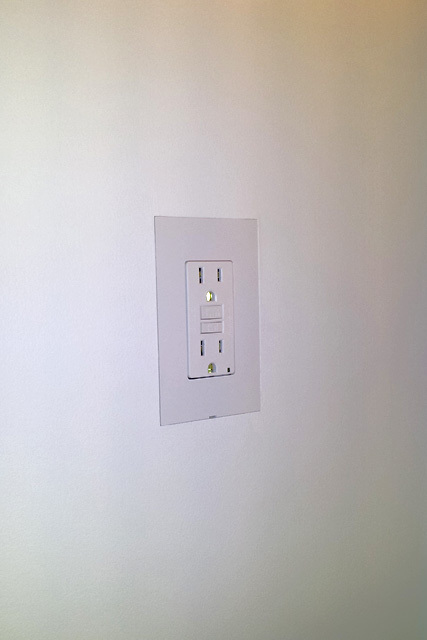 As part of the bathroom remodel, the Smoothline flush wall plate is a huge improvement over the original installation.